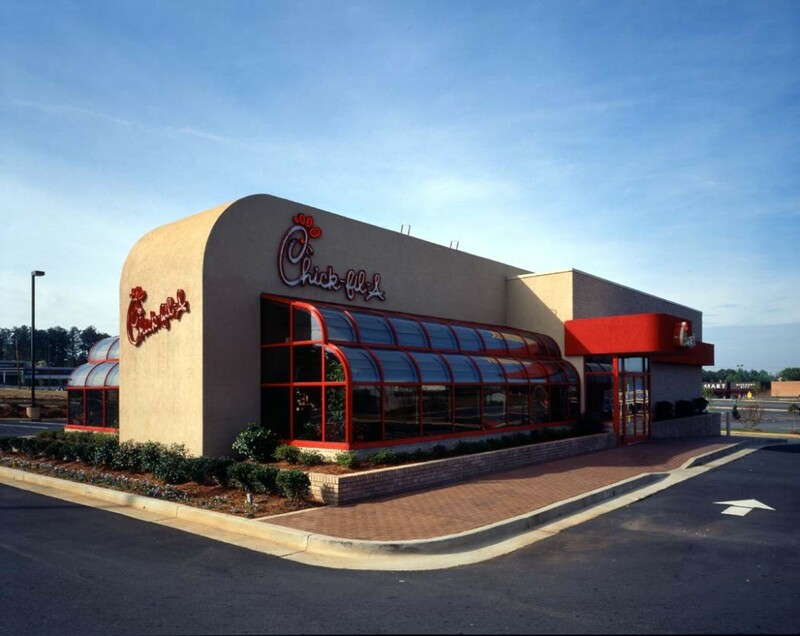 It all started in 1946 when Truett Cathy opened his first restaurant—a diner called the Dwarf Grill—in Hapeville, Ga. From that one tiny diner to more than 1,900 restaurants in operation today, Chick-fil-A décor is ever-changing. Truett Cathy first started in the restaurant business in 1946 when he opened a 24-hour diner in the Atlanta suburb of Hapeville, Georgia. The restaurant was so small – only 10 stools and four tables – that Cathy and his brother Ben decided to call the restaurant the Dwarf Grill (later renamed Dwarf House®). 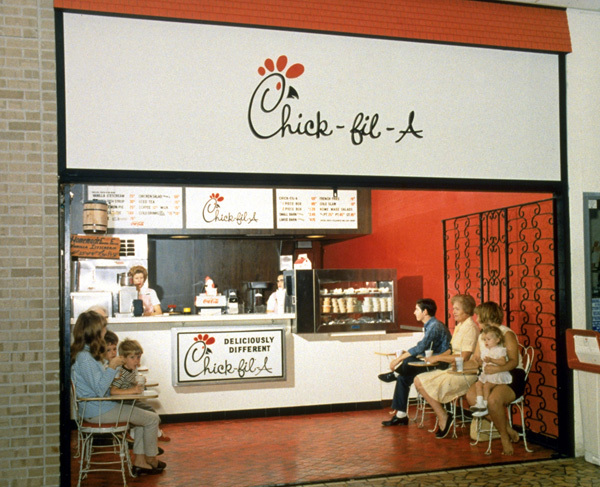 Opened in 1967, Chick-fil-A’s first restaurant was located in Atlanta’s Greenbriar Mall. Truett Cathy has been recognized as an early pioneer of today’s “food court” concept. The original “front-counter” restaurant design of the Greenbriar Mall location allowed the restaurant to occupy a space of just 384 square feet. 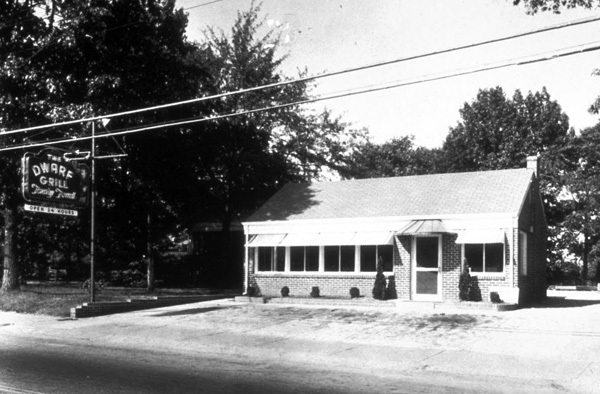 The first free-standing restaurant, Chick-fil-A North Druid Hills, opened in 1986 in Atlanta. 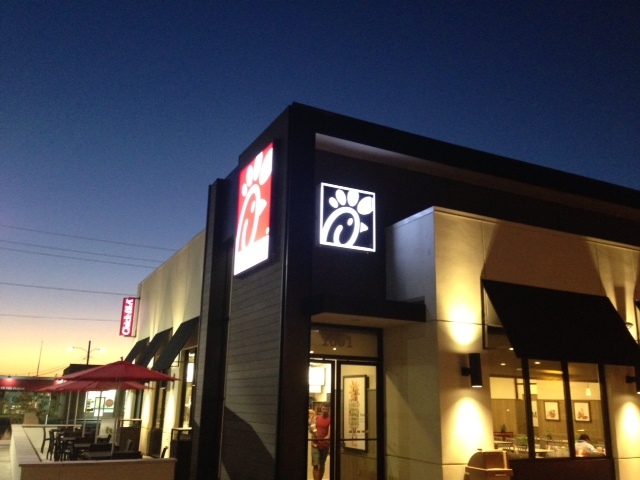 Today, free-standing locations make up the majority of Chick-fil-A restaurants. 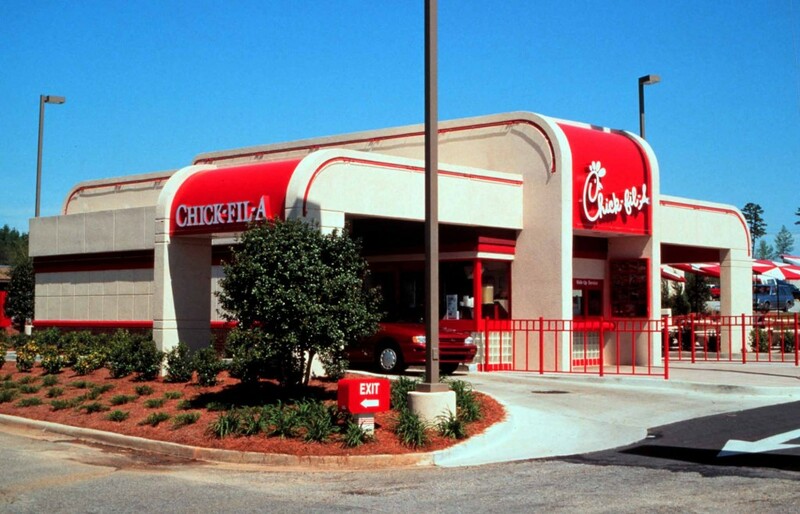 Chick-fil-A opened its first drive-thru only restaurant in 1993 in Greenville, South Carolina. Designed for speed and efficiency, drive-thru-only locations offer added convenience to our guests. There are currently 35 drive-thru-only restaurants across the country. 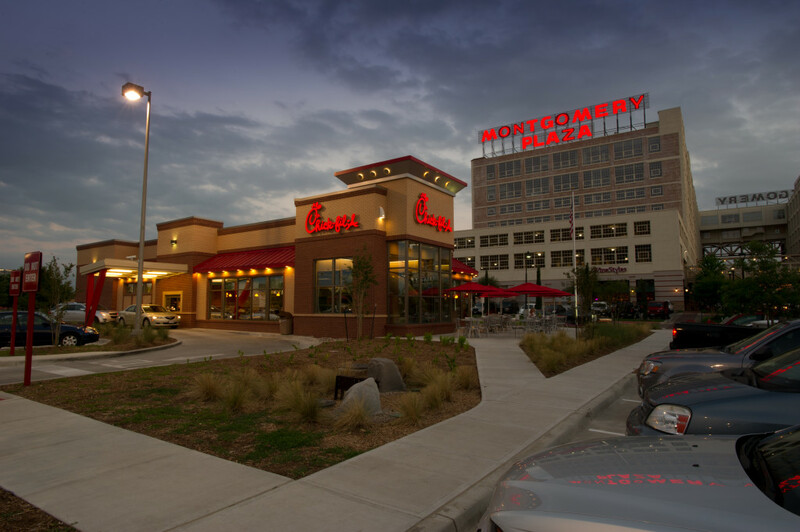 In 2011, Chick-fil-A opened its first LEED® Gold certified restaurant at Montgomery Plaza in Fort Worth, Texas. The location was selected based on its convenient community access and public transportation options. Cool feature: Rainwater is collected from the roof and used to irrigate the landscaping, which was designed with drought-tolerant plants. Chick-fil-A Cameron Village in Raleigh, North Carolina, opened in 2012 as the first two-story restaurant and features architectural details that were commonly seen in the 1940s and 1950s. With just one kitchen and two stories, the restaurant uses a conveyor system to transport food from the kitchen to customers upstairs, as well as in the drive-thru. The second story has an outdoor patio with a view of the Raleigh skyline, a large atrium and a two-lane drive-thru. 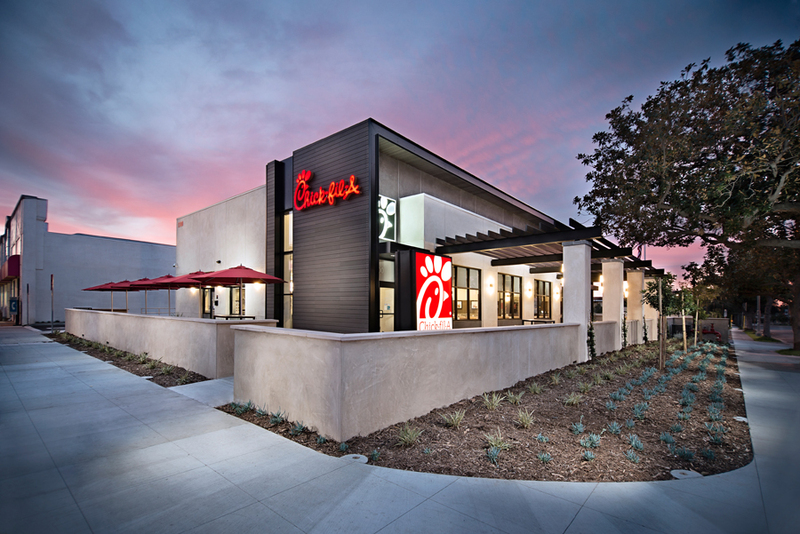 Opened in 2013 in Phoenix, Arizona, Chick-fil-A Camelback and 16th Street was designed to create the ultimate guest experience. It was one of the chain’s first restaurants to feature a window from the dining room to the kitchen that allows guests to observe food preparation. The restaurant also features a “hidden drive-thru” that creates a quieter experience for guests ordering at the counter. 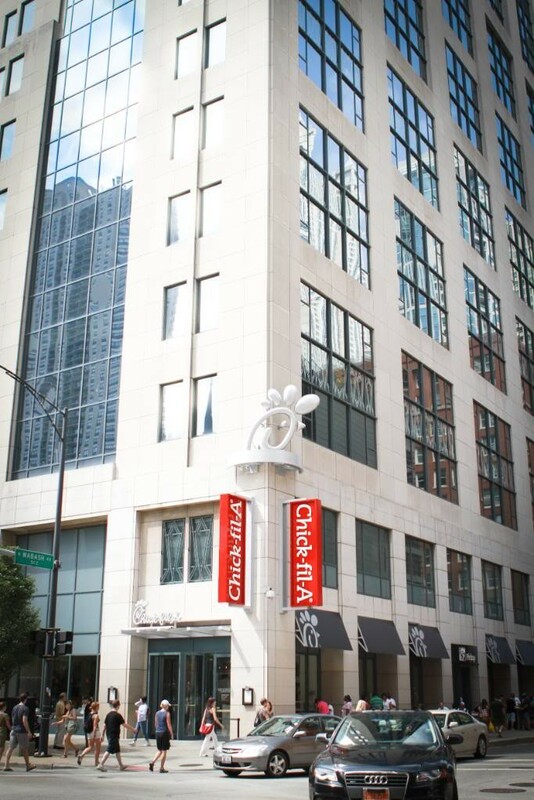 Chick-fil-A Loyola Water Tower opened in 2011 as the chain’s first restaurant in an urban setting. The space was previously part of Loyola University and faced inward toward the Water Tower Campus before Chick-fil-A renovated the space to face the street and better engage with the neighborhood. Thousands of people walk past the restaurant every day, so taking into account the lifestyles of city dwellers on the go, the restaurant incorporated changes to its front counter (eight registers!) and kitchen (bigger!) to streamline the ordering process. 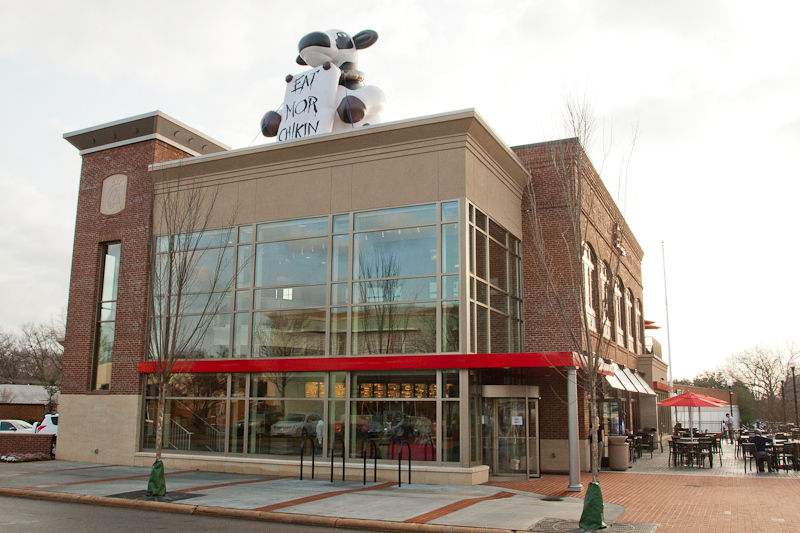 Chick-fil-A East Colorado Boulevard in Pasadena, California, opened in 2014, full of creative design elements that include artwork of the Chick-fil-A “Eat Mor Chikin®” Cows next to Pasadena landmarks. It won the restaurant Gold at the 2015 A.R.E. Design Awards, which placed Chick-fil-A in the company of design icons such as Apple, Ralph Lauren, and Lululemon. Other innovative features include a cozy outdoor patio, community seating, and skylights. Designed to fit into Pasadena’s cityscape, this building’s modern street design is intended to welcome pedestrians, while the drive-thru is hidden from view. 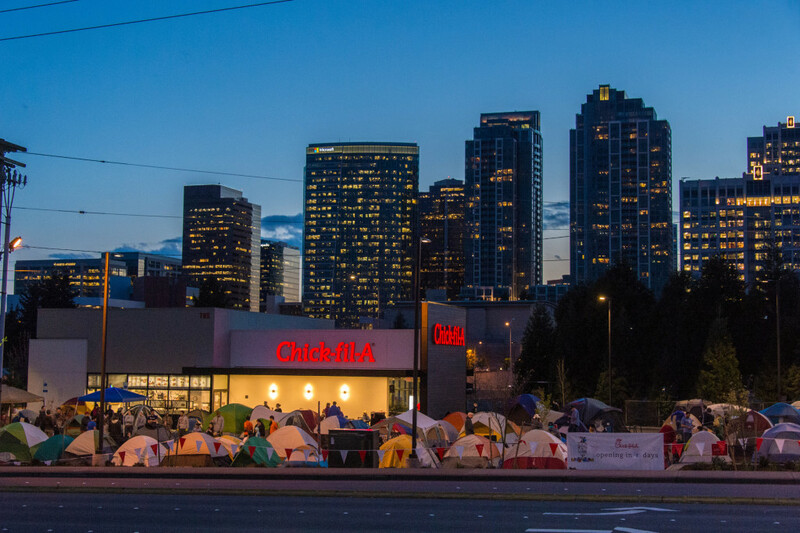 Opened in Bellevue, Washington, on April 9, 2015, Chick-fil-A Northeast 8th Street is the first restaurant in the Pacific Northwest. The restaurant is designed to match the aesthetics of the Bellevue community, is built to LEED® specifications and creatively blurs the lines between inside and outside space. Chick-fil-A is also piloting a first-of-its-kind recycling program for foam cups, which will be upcycled into dining trays, nametags, pens and picture frames.